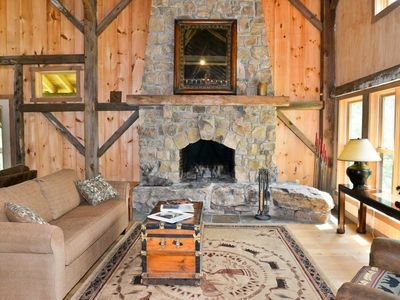 Experience pastoral PA scenery firsthand at this cozy Lawrenceville vacation rental! 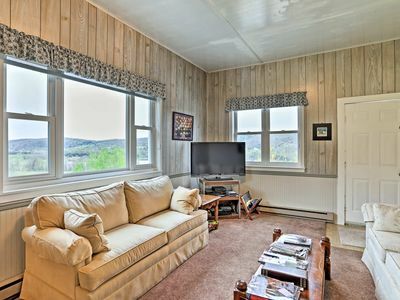 This 2-bedroom, 1-bath unit sits across the street from Cowanesque Lake and within a day trip to the New York Finger Lakes area and Susquehannock State Forest. 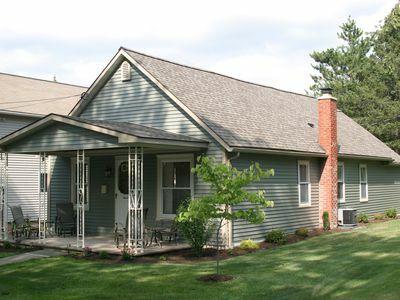 Explore the beauty of this 12-acre property before heading into town to dine at local hotspots near the Tioga River! 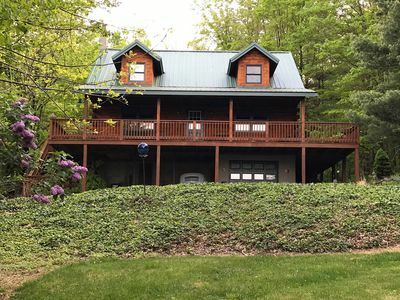 Enter a relaxing state of mind as soon as you arrive at this rolling 12-acre property in Lawrenceville. 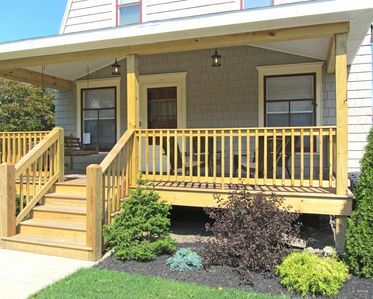 Easily park your car, trailer, or RV and head inside to unwind. If you’ve picked up groceries on the way in, unpack the ingredients and plan out the night’s dinner. 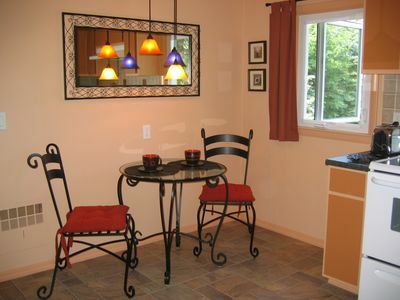 The fully equipped kitchen offers cooking essentials to make every meal effortless. After-dinner downtime calls for exploration of the property, so gather up loved ones for a scenic stroll. Once stars begin to appear, bring a hot tea or cocoa out onto the shared deck to relax in the Adirondack chairs. 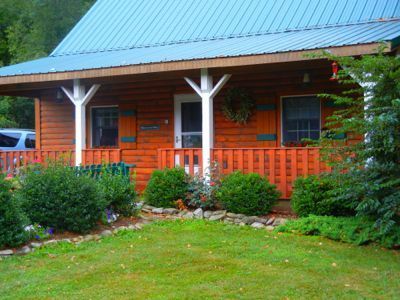 Four travelers can rest easy in either full bedrooms. Make it a larger family affair and check the availability of the other on-site rental units (Evolve listings #416601 & 416610) for extra accommodations. 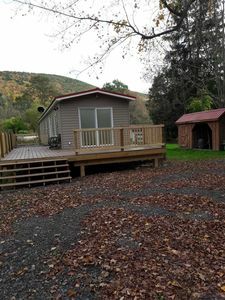 One the main draws to Lawrenceville is Cowanesque Lake, which is mere minutes away from this property! Enjoy days out on the water where it’s easy to dock your boat at the north side of the lake. 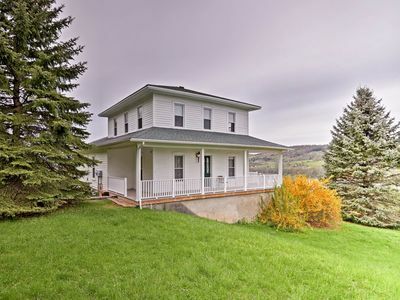 Avid hunters will want to walk the State Game Lands in Tioga 20 minutes south of this home. Find other outdoor thrills at Watkins Glen International, which will host the 70th anniversary and Hot Wheels 50th anniversary celebrations this year! 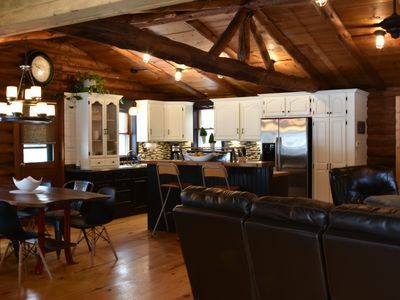 When you’ve worked up an appetite, Dana’s Diner and The Lindley Roadhouse will welcome you with comfort foods and countryside charm! Drive further south along the river to dine at a local favorite, Rostell’s. Looking for a fun day trip? 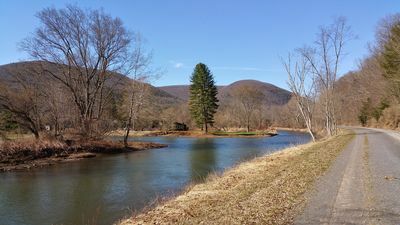 The New York Finger Lakes area is within a 45-minute drive, and outdoor recreation awaits just 80 minutes away at the Susquehannock State Forest! In addition, The Corning Museum of Glass is just 15 miles away! 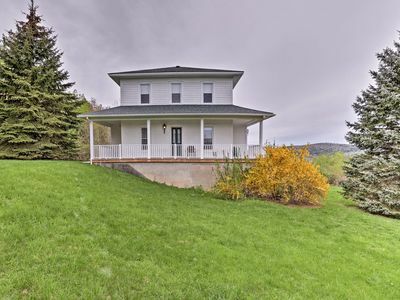 - Scenic Lawrenceville location on 5 acres - Across the street from Cowanesque Lake, easy access to boating, swimming, the motocross racetrack, State Game Lands, and other outdoor recreation! 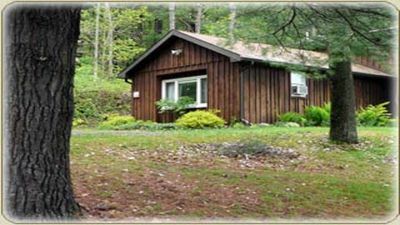 Within driving distance of the New York Finger Lakes area, Watkings Glen, and Susquehannock State Forest! Lodge on Pine Creek, PA Grand Canyon. ATV & Winter Snowmobile Excellence! 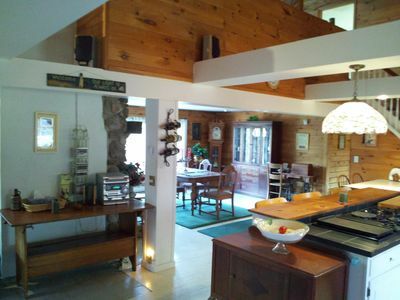 Stunning Home Located in the Peaceful Tioga Mountains-WiFi now available!!! 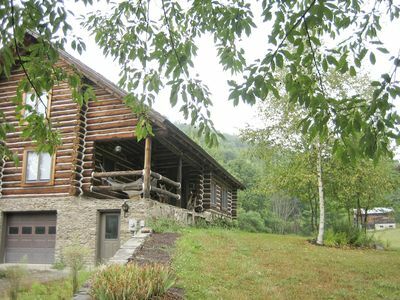 Remote cabin 17 miles from Wellsboro. 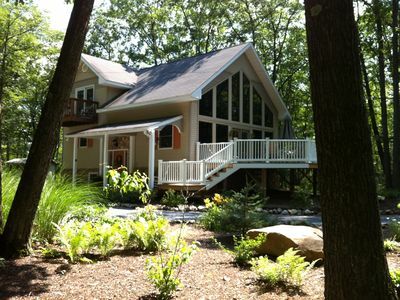 Sleeps 10, family friendly, 5 bedrooms. 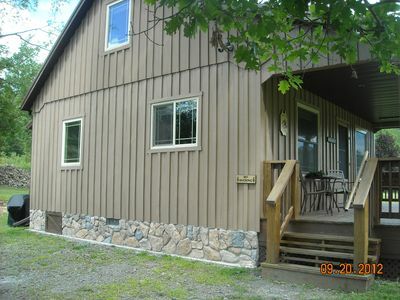 A Beautiful Cabin on Pine Creek. 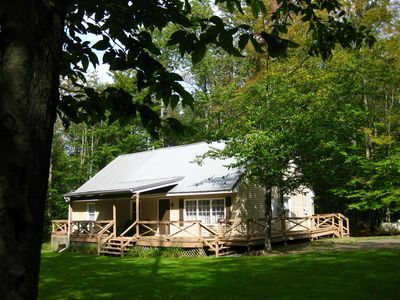 Hike, Bike, Ride, Float Right From the Cabin. 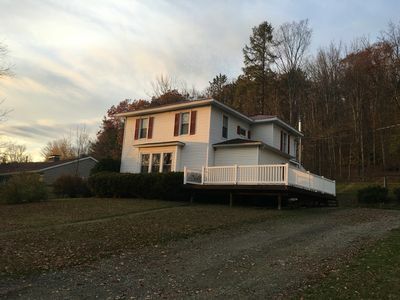 Cozy Lawrenceville Apartment Near Cowanesque Lake!